Barclays slashed its earnings estimates for Berkshire Hathaway ( BRK-A , BRK-B ) following the crash in Kraft Heinz ( KHC ) stock. Berkshire, which is run by legendary investing billionaire Warren Buffett, owns nearly 27% of Kraft Heinz common shares. On Thursday, Kraft Heinz's missed analysts' forecasts for its most recent quarter, posting a surprise net loss. The packaged food company that makes products such as Cool Whip and Lunchables delivered weak guidance; disclosed a massive $15.4 billion non-cash impairment charge mostly tied to Kraft and Oscar Meyer brands; revealed it received an SEC subpoena related to its accounting practices; and announced a dividend cut. Shares of Kraft Heinz plunged 27.5% on Friday. Berkshire A and B shares fell 1.9% and 1.7%, respectively. On Friday, Barclays' analyst Jay Gelb lowered estimates for Berkshire Hathaway's Q4 EPS to $1,726 from $3,522 per A share and to $1.15 from $2.35 per B share. “The most recent quarter also included substantial catastrophe losses for the global P&C insurance industry included Hurricane Michael and California wildfires which we would also expect to negatively impact Berkshire’s earnings,” Gelb added. 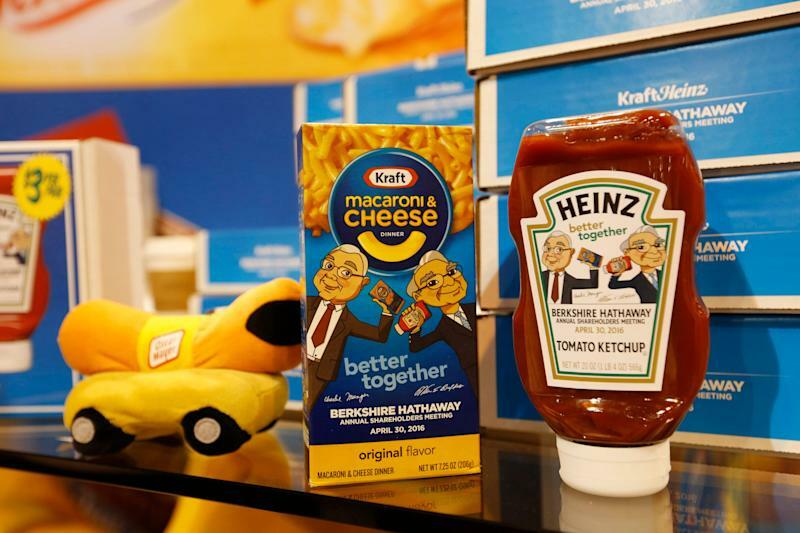 According to regulatory filings, Berkshire Hathaway held more than 325.6 million shares of Kraft Heinz at the end of 2018. Assuming the position has remained unchanged since the end of the fourth quarter, it's now worth $11.84 billion, down from $14.45 billion at the end of 2018. Morgan Stanley’s Kai Pan noted earlier this week that the S&P 500’s stumble in 2018 is likely to weigh on Berkshire’s $200 billion equity portfolio. As of the end of 2018, Apple remained its largest stock position and it’s believed that position alone took a $17 billion bite out of the portfolio. Buffett is expected to release Berkshire Hathaway's widely-read shareholder letter on Saturday alongside the investment behemoth's full-year 2018 financial results. “Major Berkshire topics we anticipate Warren Buffett could discuss include his succession plans; opportunities to deploy $80+billion of excess cash in acquisitions, additional equity investments or share buybacks; his views on substantial global catastrophe events; and Berkshire’s capital-intensive businesses including the BNSF railroad as well as the Energy unit,” Gelb said.